A fun activity for your students to do as they are learning all about adjectives. 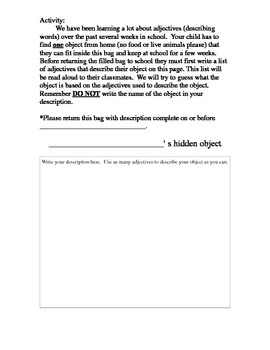 Attach this letter to a paper bag and send home. Wait until you see the fun that the kids have trying to guess each others objects that they describe with using adjectives!